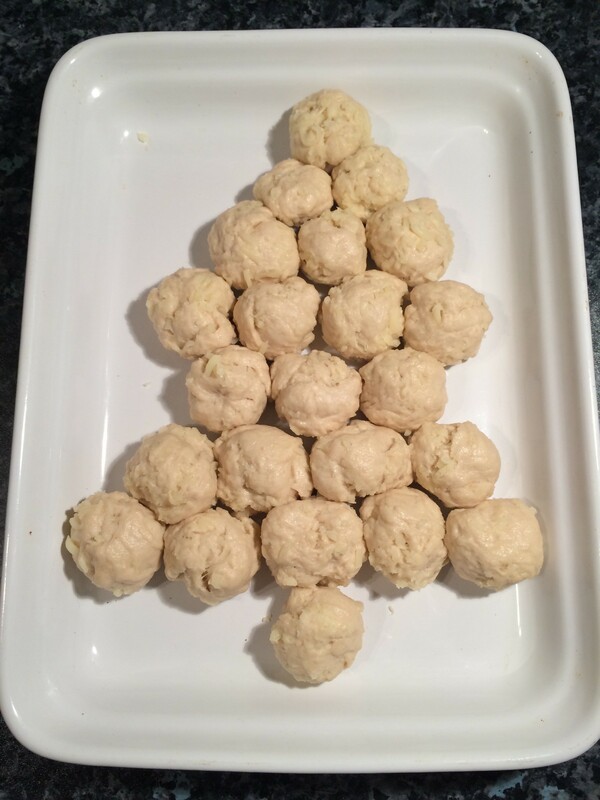 This Christmas Tree Tear-and-Share Bread is the perfect side to any holiday meal, it’s cute, easy, and can be made ahead the night before for a low stress gathering all round! It’s not so garlicy or cheesy as to overwhelm, but feel free to dial it up! Bread making doesn’t have to be hard, in fact this takes about 20 minutes hands on time, total! It’s a real crowd pleaser and could easily be scaled up to suit any size of gathering. – Put the flour in a large mixing bowl, add the yeas to one side and the salt to the other. – Add the olive oil and most of the water, keep a little in reserve in case it’s too sticky. – Start to bring the dough together in the bowl with your hand, or a dough hook attachment on a mixer. – If using your hands, when the dough has formed tip out onto a worksurface and continue to knead by hand until the dough is soft, smooth and elastic. If using the dough hooks continue to knead in the bowl. – Set in a clean, oiled bowl and cover. Leave in a warm, draft free place to rise for 1 hour, or until doubled in size. 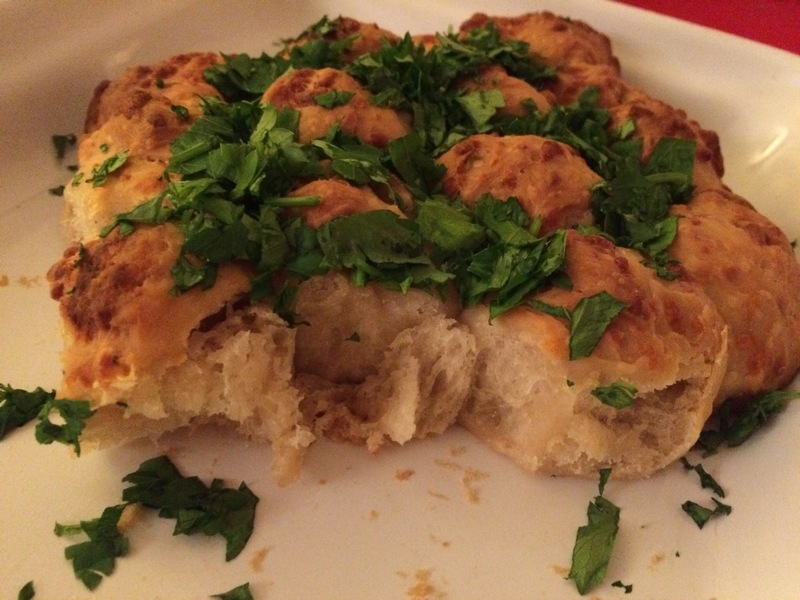 – When the dough has risen add the cheese and garlic and knock it down. Knead in the bowl until the cheese and garlic are evenly distributed. – Grease an oven proof dish. – Pinch off small balls of dough, about the size of a walnut. I needed 23 balls. – Roll them in your hands and arrange them in the dish to form a Christmas tree! – Now you can cover the dish with clingfilm and keep in the fridge overnight, or you can set aside at room temperature for another 30 minute rise. – When you are ready for your bread get the dough out of the fridge and heat the oven to gas mark 6/200C or higher. – Bake for 25 minutes until golden brown on top. – Immediately upon removing from the oven, dot the bread with butter. 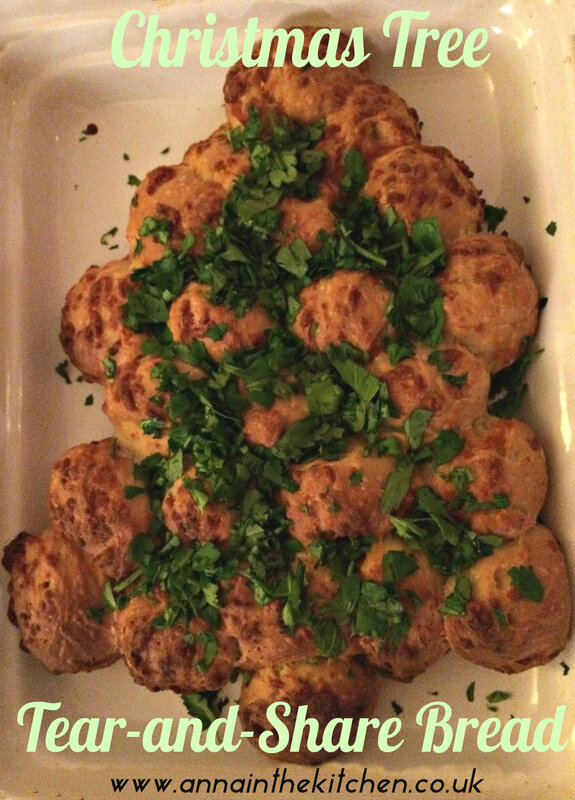 – Scatter the parsley on top for a green Christmas tree!